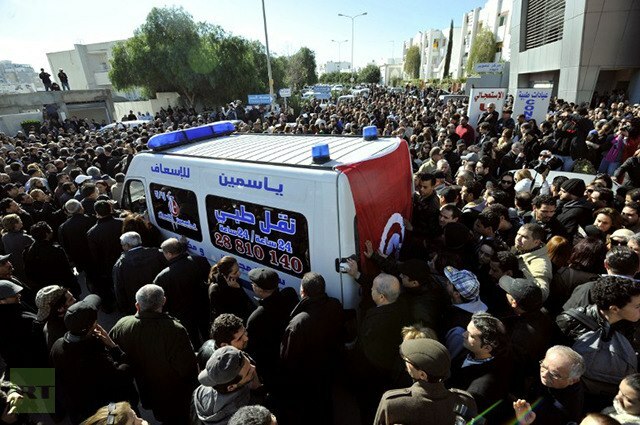 Protests have spread across Tunisiaafter the assassination of a leftist opposition leader, Chokri Belaid. The new Islamist government is also cracking down on the Tunisian anarchist movement, following the example of their brethren in Egypt. Recently, I have been posting selections from Kropotkin’s Words of a Rebel on the counter-revolutionary nature of representative and “revolutionary” governments. 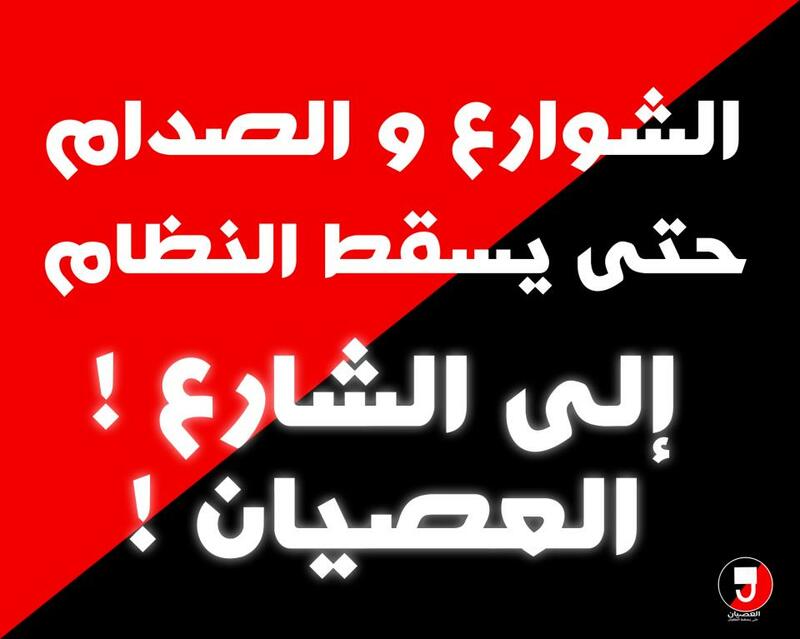 Here, I reproduce a declaration of Tunisian anarchists calling for libertarian socialism in Tunisia. Haraket A’ssyan is a libertarian anarchist movement that struggles against capitalism and its authoritarian system; for accomplishing a self-organized mass and for direct power in its affairs. -Support the revolutionary movement with all kinds of social resistance. -Get-around representative elections, and push for direct-democracy, which guarantees self-organization and management. -Unite libertarian socialists in Tunisia to move further towards achieving the goals of the revolution. -Strive to cancel all forms of persecution and discrimination in the quest for real equality between woman and man, and among all people. -Resist any kind of colonialism and hegemony, in addition to supporting worldly liberatory movements, especially the Palestinian struggle. -Devote a true culture of critique and praxis to liberatory anarchism. -Unite the revolutionary tasks in coordination with its committed participants to bring it to life. -Refrain from all forms of hierarchy and bureaucracy. -Ensure the enforcement of free group decision-making and discourse over all cases, accompanied by an explicit rejection of all of democratic-centralist systems and voting conferences. -Confront all forms of privelleges of competence, experience, age or sybolism. Emphasize the principle of sharing responsibilities and the right to disagree. A’ssyan movement is free, independent and creatively innovative on an individual and group level. A’ssyan movement is one of the revolution’s driving forces, with no authority or leadership over the mass, struggling in its shadow, providing it with theoretical and tangible support, and will dissolve once it becomes self-organized. Posted on February 9, 2013, in North Africa and tagged Arab Anarchists, Disobedience Movement, Tunisia, Tunisian Anarchists, Tunisian Revolution. Bookmark the permalink. 3 Comments. I support and appreciate anarchist struggles in the Middle East and would like it if international media like AL Jazeera and BBC would also catch up on this struggle. They show a very biased version of a war torn Middle East with people fighting over their religious differences. I know that Tunisia is is just the beginning of a New World Order wherein people will be judged by their worth and not their religion or creed. Tunisia needs a anarchism to pacify the flames of Western materialism that all of Middle East has suffered. They have been stereotyped for far too long as who they’re not and differences that aren’t actually there. From where I stand, I would extend my full support to anarchist movements because their aims purer than any form of government there ever has been or will be. Thank you, but we have to say, that we are not agree with the above mentioned article. First, Islamism didn’t emerge with revolution, it’s growing since more than 20 years. The first election in Palestine was won by Hamas. 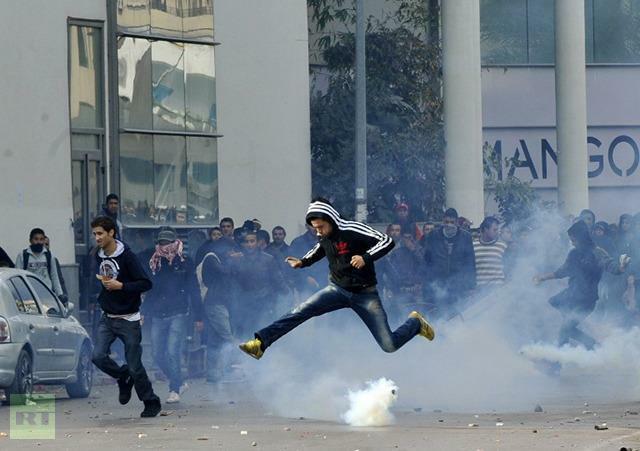 We can just say that for the first time Islamists got the power in Egypt and Tunisia after the revolutions. Also feminism didn’t emerge now. It has a very long tradition. Just now, maybe as a reaction do the Islamists, it radicalized itself. The one “fruit” of revolution could be numerous anarchist movement, as a dissapointment of young people of the results of the revolutions, ad a general tendency to self-management in popular struggle – the result of practice of local committees during the revolutions. But the first wave of anarchism was in 1980′ and for sure this wave started in 2008 when the first collectives emerged. The author of this article seems to have just surface knowledge based on media news. And it is now true that this movements emerged now, thay were just now noticed by the media.